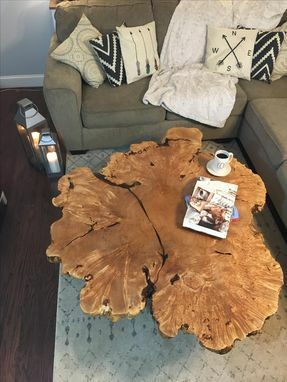 This is an exceptionally rare, big leaf maple burl coffee table that would look amazing in any home or business! The figure and grain pattern changes are one of a kind. 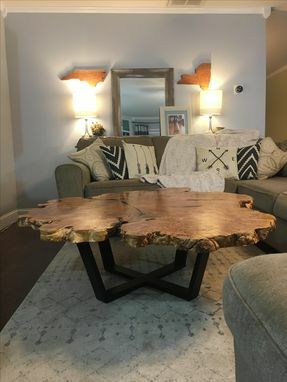 We made this piece from a single live edge slab that was patiently air dried for 2 years, then vacuum kiln dried to perfection. 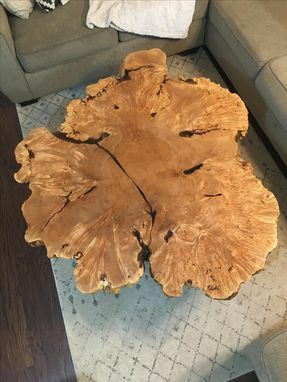 We spend countless hours planing and sanding our tables and always finish with the best modified resin tung oil on the market. 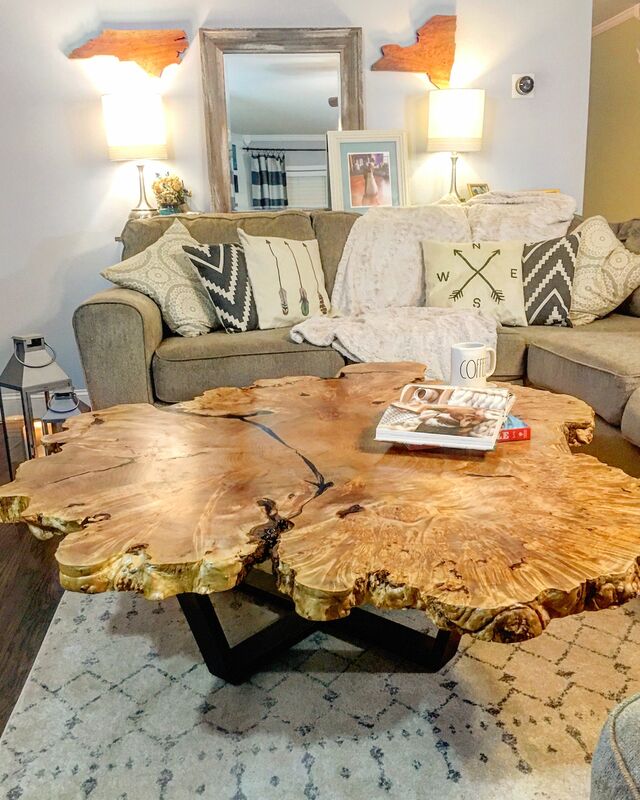 This results in a flat and smooth table that is water, scratch and UV resistant. All cracks have been filled with a high quality clear resin and are smooth and flush with the wood. This table measures 50" in diameter and 18" tall. We can provide any metal legs you can imagine. The base price includes the metal legs as shown in the pictures. Please inquire for more options or information. Local delivery or pick up is free! All other customers should contact us directly prior to placing the order to receive a shipping estimate. We only charge the exact amount we are billed for shipping, not a penny more! No one likes paying for shipping, but we believe in using the best delivery teams to ensure the shipping process goes smoothly.